Denis Villenueve is officially staking his claim on Hollywood with Blade Runner 2049. Coming away from critic and audience successes like Sicario and Arrival, the director has swiftly established a visual signature of atmospheric beauty and desolation, now effortlessly translating that to the dystopian world of Blade Runner. The world that Ridley Scott built in the original film is still present, though, and has provided an ample basis for creative freedom on Villenueve’s end, allowing him to bring this world into the future and haunt it with its past, both atmospherically and narratively. Every shot is a visual work of art. That said, the film does not totally escape Hollywood’s stamp; it very clearly shies away from veering off the path of the familiar. The casting, acting, and narrative structure all follow predictable molds outside of the director’s personal creative landscape. This will in no way hurt the film’s chances of wowing audiences, but it does leave one feeling that it could have done so much more. 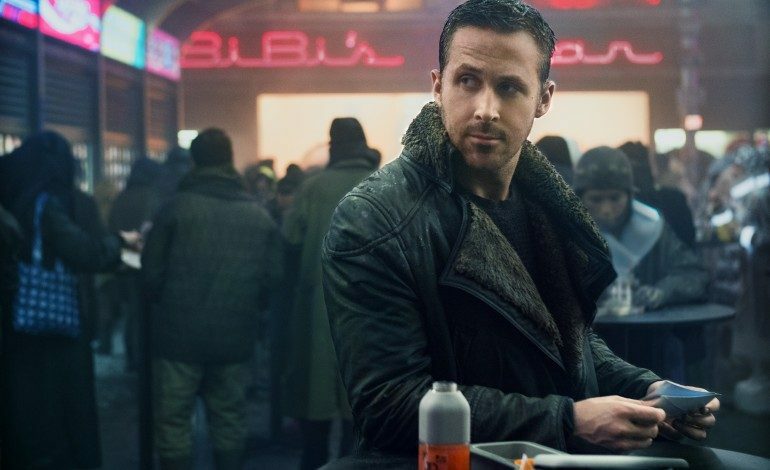 2049 picks up 30 years after the events of the original film. We open on LAPD Officer K (Ryan Gosling), a new Nexus model created after the close of the replicant Prohibition by Niander Wallace (Jared Leto), a man determined on bringing life back to Eden through the creation of a superior race. 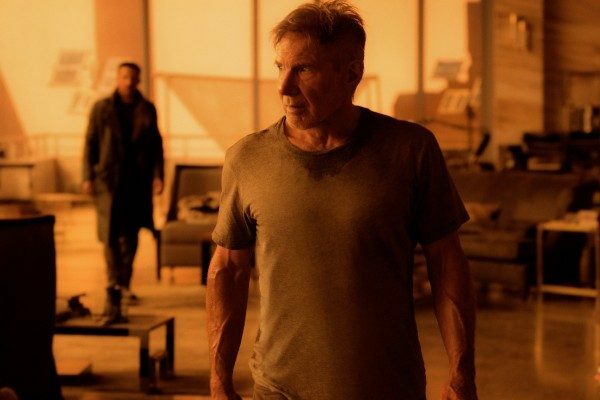 When K unearths a long-hidden secret that could send society into chaos, he embarks on a dangerous mission to uncover the truth, which leads him to finding the missing former blade runner Rick Deckard (Harrison Ford) and understanding the ways of humanity. Going into detail about this film gets a bit tricky — nearly everything is a spoiler. Screenwriters Michael Green and Hampton Fancher do incredible work in creating another way of this world for K to exist in 30 years later. Fundamentally, not much has changed, but K certainly occupies his own space that is unique and definitive. This brings up the central question of the film, and of most Villenueve films (making him the perfect choice as director), of “what makes someone human?” The original set out to answer that question as well, but dissolved any hope for conclusion when it ended with an open-to-interpretation suggestion that Deckard may have been a replicant himself the entire time. This time around, the film outright introduces K as a replicant and explores the traditional struggle of identity, purpose, life, and humanity through the eyes of someone who believes and fears of themselves not having it. The narrative creates deep-seeded tension between K’s knowledge that he was “made” and not “born” and his internal rebellion to claim his own identity, agency, and personhood. While the central character struggle and motivation for the film is distinctly charged, Gosling is more admirable than outstanding in his delivery. As K, he undoubtedly permeates the film with his known brand of “cool,” but rarely takes us past a broody aesthetic. 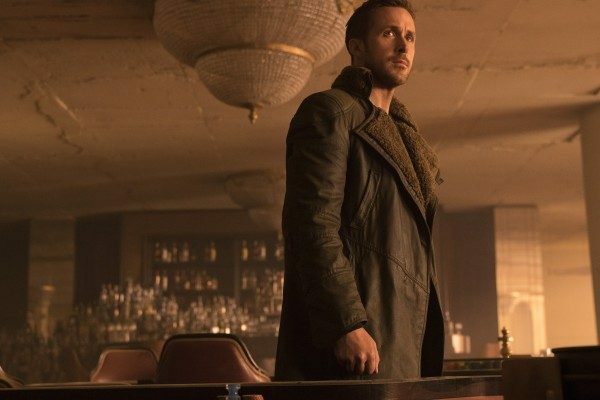 The script gives Gosling a few opportunities to take the performance up a notch to convince the audience of his internal turmoil, but Gosling feels flat in the character’s most defining moments. Likewise, most of his supporting cast don’t hit impressive notes aside from the original’s match cut Harrison Ford, and two of the film’s under-utilized, but stand out actresses, Carla Juri and Sylvia Hoeks as the badass stand-in for Leto’s one-note Wallace. Going back to the film’s female docket, the representation of well-rounded women in this film is quite laughable, not to mention the nearly non-existent racial variety. The majority of women portrayed in the movie exist solely to satisfy male wants and needs. Ana de Armas plays Joi, a hologram belonging to K, who has the sole purpose of pleasing him – sexually, emotionally, intellectually – and aiding him on his journey. 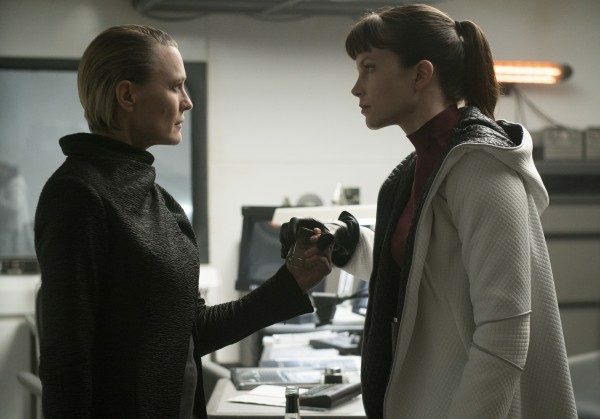 Robin Wright is a powerful character as K’s superior, Lieutenant Joshi, insofar as she barks orders at K and represents maintaining the order of this dystopian world. Even Hoek’s chillingly standout performance of Luv is wasted on a character whose core motivation is to carry out the will of her male employer/creator. When the film finally does see a woman with a personal life and interiority, she is given very little screen time and is used as a cop-out for a fun plot twist. The overblown constant reminders of women in the form of the ultimate male fantasy is also almost too insensitive to mention – symbolically, their use make some sense, but in a film dominated by male preoccupation, it hits a deeply low note. But, if the audience takes any one thing away from this film, it will undeniably be Villenueve’s dynamic visuals, also brought to us by cinematographer Roger Deakins (No Country for Old Men), and the powerful-yet-controlled action sequences born from them. Villenueve expertly translates his own style into the world’s punk noir, playing with ideas of the individual in a vast landscape and the various interactions and externalized emotions that take stage from there. The atmosphere is its own character in the film and informs its narrative and emotional core. There is no doubt in my mind that Blade Runner 2049 will satisfy the vast majority of moviegoers as well as fans of the original sci-fi, and that the film will make more money than its filmmakers and stars can count, but that is not to say that we shouldn’t expect more at this point. Cinematically, Villenueve’s film hits all the right notes and takes visual aesthetics to new heights. However, the film backpedals into standard Hollywood leanings toward uninspired leads, uninspired female and racial representation, and a story that fizzles out in providing meaningful answers to its monumental questions.